It&apos;s been about nine months since the design process for the 64-foot Makaira was started. While both the designers at Applied Concepts Unleashed and the builder&apos;s team have enjoyed the exchange of ideas that both parties feel will result in the next-generation sportfisherman, it&apos;s now time for the plan to become a real boat. 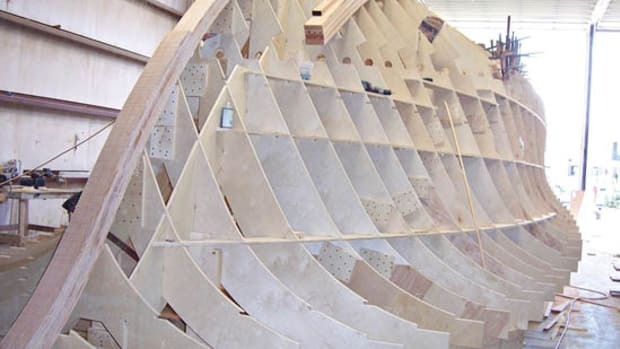 Months of planning are paying off as the hull&apos;s shape comes to fruition. 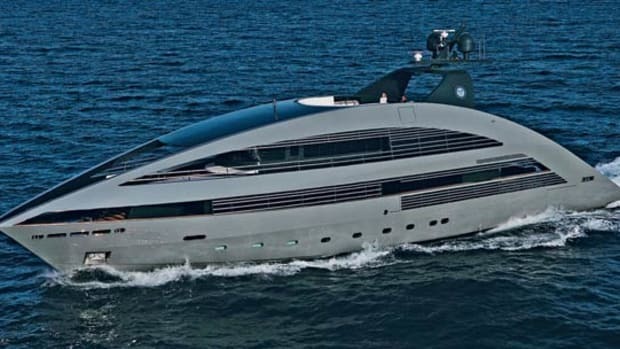 To this point the builder has made literally thousands of decisions to get the vessel ready to build, like where to put the cabinetry, livewells, fishboxes, cockpit freezers, and galley appliances, with each decision impacting the others. 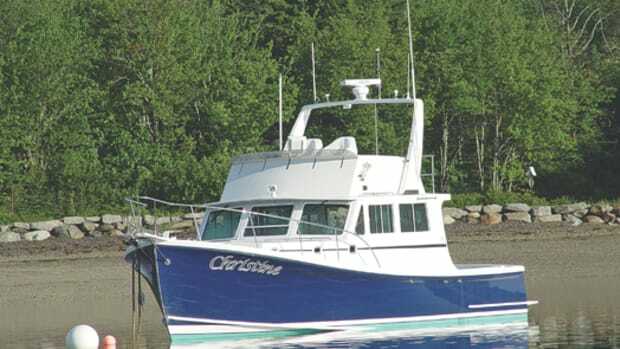 It&apos;s been an epic undertaking, especially since the goal is to surpass all the high-end sportfishermen that have come before her in both form and function. But finally these decisions have been made, and now comes the final design stage where it all must come together. With the construction drawings finalized, every item from door hinges to push-pull latches is being positioned to optimize both functionality and build efficiency. Wire and plumbing runs have been laid out to both expedite the construction process and maximize accessibility, because while running hard, fast, and far is key, so is being able to quickly access and fix all systems on the fly. Integration of her design, systems, and construction is at the heart of this vessel. One example is the 64&apos;s interior module, which is being cut with a CNC router. 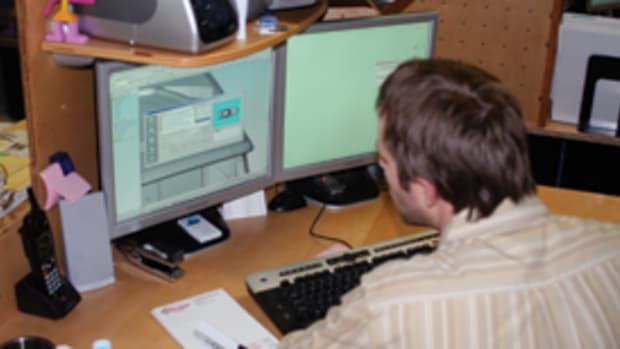 Its precision enables the planning and creation of locator tabs and slots for the lightweight honeycomb bulkheads, which will expedite production by enabling the cabinetry to index during assembly. 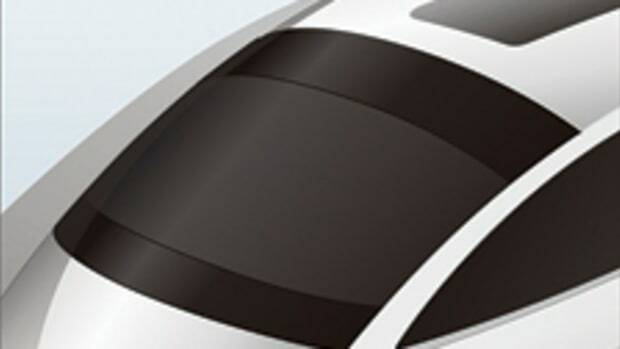 A second piece of the integration puzzle involves creating a clean, nearly seamless look. The team is trying to anticipate—and where possible eliminate—every fiberglass joint and juncture. 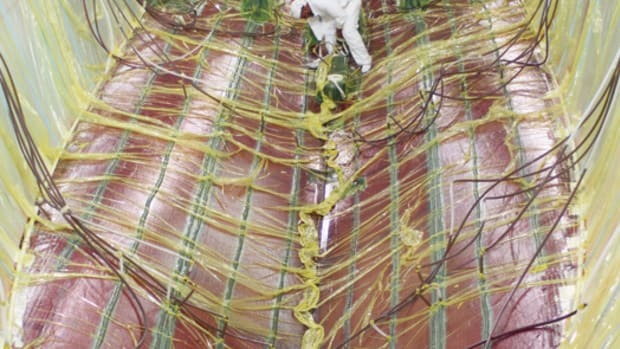 This differs from a typical production boat, in which seams between molded fiberglass components may be in clear view and silicone sealant or other fillers are used to try to hide them. 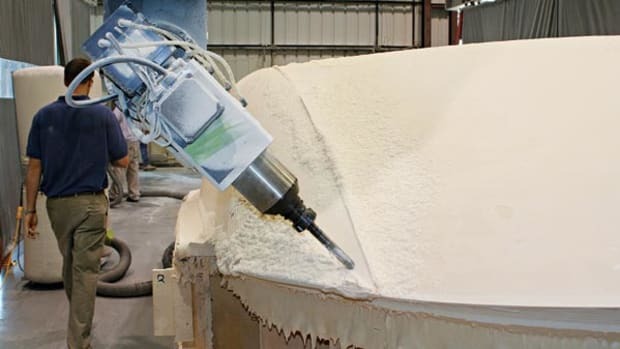 One place where seamlessness is obviously critical is the hull, so the team relied on a CNC router to construct its one-off plug, which was then used to build the hull mold. The router cut numbered and sequenced notched plywood jig frames (called the CNC jig system) similar to those used for a cold-molded vessel. The notches ensure proper alignment, which was double-checked by a laser level. Once all the frames were in position, "bead-and-cove" foam planks were butted and screwed to them. A more traditional plug-building system would&apos;ve seen the builder laying wood planks over the jig, but these foam planks are more easily shaped and don&apos;t require putty to fill gaps and copious hours of hand sanding. If this were going to be a cold-molded boat, the hull would have first received significant internal structural support and then been ‘glassed inside and out. Since this is a disposable plug, the hull was only semistructural. 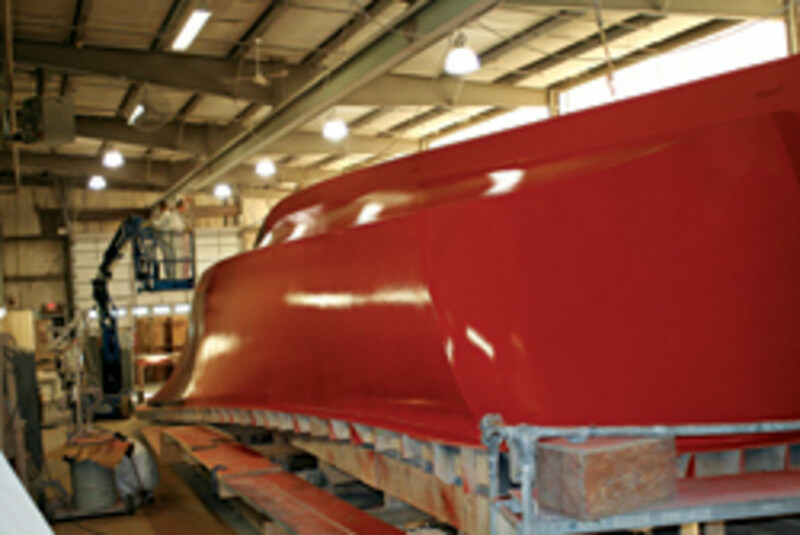 The creation of the hull plug was done by Makaira at its factory in Weekstown, New Jersey, also home of Makaira&apos;s parent company, Ocean Yachts (yes, now you know). But the company also utilized subcontractors. 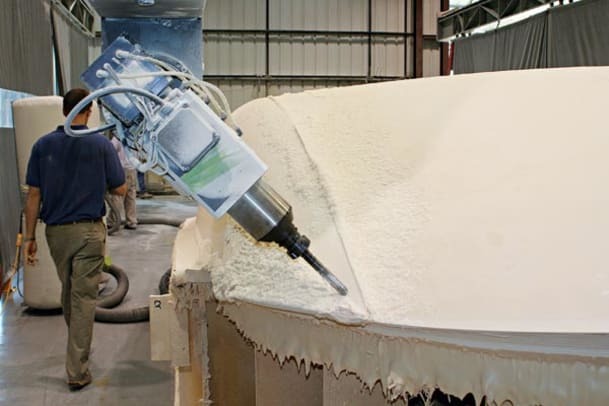 Cape Coral, Florida&apos;s Marine Concepts was brought in to build molds for some of the more intricate components, such as the deck and parts of the flying bridge, mainly because the company has a bull&apos;s-eye-accurate five-axis router. In fact, this massive profiler carved the 64&apos;s top deck out of foam in three dimensions to the precise size and shape of the final structure. While such technology is costly, the expense is offset by a reduction in man-hours and is vastly more precise, as it creates one homogeneous part as opposed to one made out of multiple materials. Plus employing subs to do some of the work allowed Makaira to focus on other areas of the project, like the stringer system. The stringers were also created using a jig-frame. A female mold produced the male part, which because of the router accuracy required no fairing and filling, a first in a vessel in this size range, according to Makaira. With an array of jig-frame plugs constructed, it was time to make molds. The process started by covering the plugs with a release wax (you don&apos;t want parts to stick to a one-off plug) that was sprayed with gelcoat and allowed to cure. The crew then applied fiberglass to the gelcoat and let the laminate cure. Prior to the mold being pulled from the plug, the builder added structural bracing for support. By this point, any imperfections in the molds had been corrected by hand. 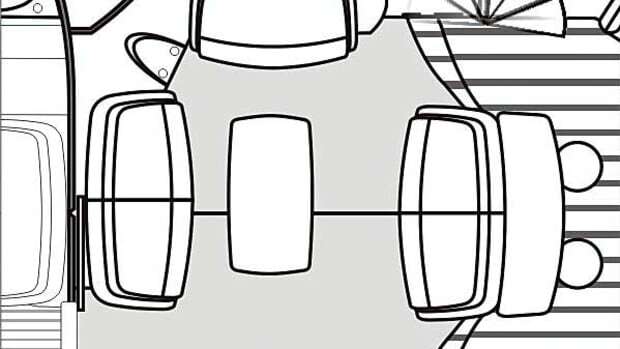 Some of Makaira&apos;s shapes, such as recessed surfaces and reverse angles, couldn&apos;t be built with one-piece molds, as they didn&apos;t have enough clearance to allow removal (something called negative draft). So an array of multipart molds were used that featured movable or hinged sections plus clip-ons, bolt-ons, and knockouts (like for fitting a window). One area that received such treatment was the deck, which came from Marine Concepts. Why? It&apos;s impossible to transport a full-beam, 60-something-foot-long deck from Florida to New Jersey. Multipart molds were also used for the flying bridge, allowing Makaira&apos;s team to incorporate a toe kick and contour the seating area, providing optimal function and an attractive form with reduced seams. The one-time ultimate sportfisherman idea is now a bunch of parts spread across floors from New Jersey to Florida, but will they fit together as everyone hoped? Find out in our next article in an upcoming issue.